What Happened to Hotmail UK accounts? 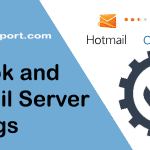 Hotmail used to provide localized domain address as hotmail.co.uk but to provide better and uniform user experience around the globe, Hotmail UK site is upgraded to Outlook.com. Many users criticized this move from Hotmail as all Hotmail UK accounts were forced to upgrade. Many users were not aware of the change, so when they see Outlook.com instead of old Hotmail site, they get panicked. If you are an old Hotmail UK user, you do not need to worry about where old Hotmail has gone. 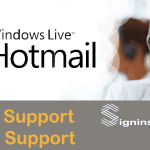 Still, you can sign into Hotmail account and access Microsoft services. It’s a new Outlook.com email service with better feature and service, which is accessible with your old Hotmail email and password. Can I Sign in to Hotmail.co.uk? Where are my old Hotmail UK emails and contacts? I lost my old emails and contacts after the upgrade. Can Hotmail.co.uk sign up be done? How can I get Hotmail UK support? Well, you cannot get old Hotmail interface, but sure you can sign in Hotmail.co.uk with your email and password. You will be asked to enter Microsoft account, and Your Hotmail UK account is also Microsoft account, enter your Hotmail.co.uk username and password. 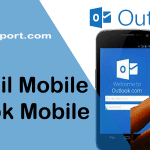 You will reach into Outlook inbox, as all Hotmail accounts are upgraded to Outlook, UK accounts are also updated. As Hotmail is upgraded to Outlook.com, all things remain the same. All your emails and contacts remain intact in their place. As mentioned earlier your emails and contacts will not be affected by the update. If you lost your emails, it means either you are inactive for a long time, and your ID got inactive. Or when upgrading to Outlook.com, you were given the option to select in which folder you want to move old emails. So your inbox is empty, check other folders. No. You cannot create new hotmail.co.uk account. 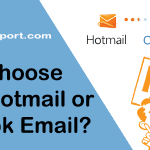 If you want to sign up Hotmail, You can select either @hotmail.com or @outlook.com. There is no particular Hotmai.co.uk support provided by Microsoft. If you have any problem regarding Outlook, you can check our Outlook support page. If you have any other question or problem regarding Hotmail UK, please let us know in the comment section.